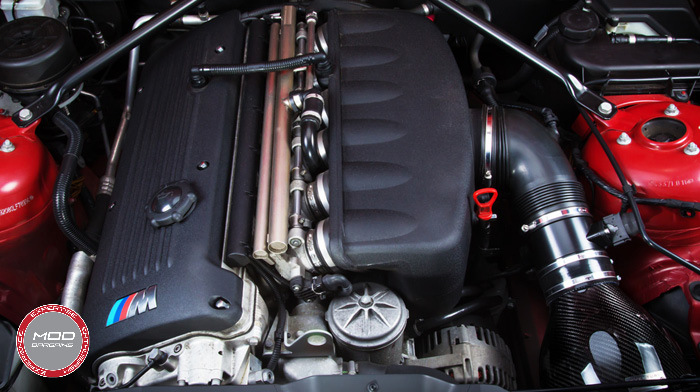 The Eventuri Carbon Fiber Intake for the BMW Z4 M is designed to bring out the potential of the proven S54 inline-six while also adding some welcome style and flare to the engine bay. 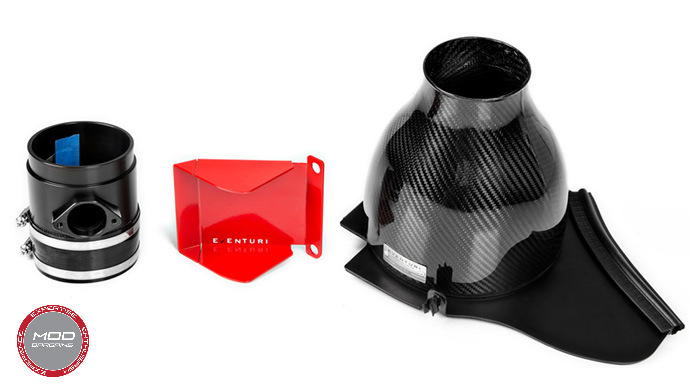 The unique inverted air filter cone is no gimmick, by reorienting the air filter and incorporating the carbon fiber housing cowl, this intake system generates a Venturi effect which increases both air volume and flow rate. Essentially functioning as a filtered velocity stack. 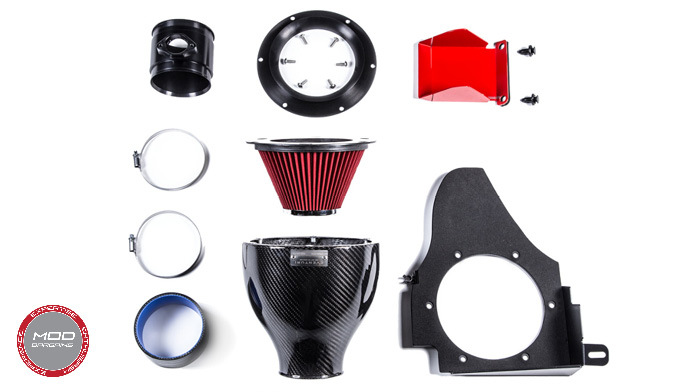 The increase in air flow results in a noticeable bump in power, sound, and throttle response: everything you need to put a smile on your face. 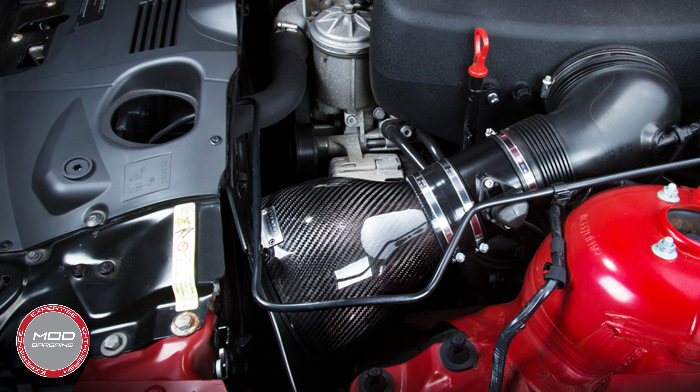 Simply put, the Eventuri Carbon Fiber Intake for the 2004-2008 BMW Z4 M not only looks amazing, but it also backs it up with true performance improvements.